I’ve said it before and will obviously say it again. Blogging certainly has its privileges. Sure there are giveaways to host, products to review and of course plenty of sponsored posts to help pay the bills. But when you really truly connect with a company that you already love, it’s pretty darn magical. I’ve always loved Nintendo myself, and have real fond memories of racing off the bus after school and running next door to my buddy Ethan’s house to continue the adventure of this new game called Legend of Zelda on the NES system. It sure doesn’t surprise me that both my kids are obsessed with the entire Mario world these days. I mean what I wouldn’t have given to play Mario Sluggers or Smash Bros. when I was their age! But at least I get to play it with my boys now and since I’m old and feeble, I can use that as an excuse when they beat me. Anyways, sorry for the tangent. The point is, I love Nintendo. My kids love Nintendo. And apparently Nintendo loves us right back because Jason and Ryan have officially been invited to join a brand-new program the company started. 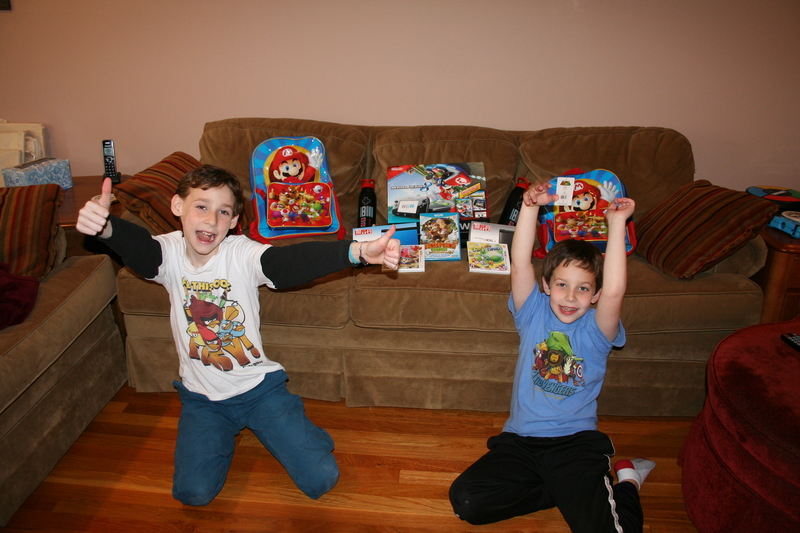 Yep, my two boys are now official Nintendo Kid Reviewers! That means you can expect to see Jason and Ryan talking about upcoming games and new releases more than ever. I’m hoping to get them to write a bit more, as well as do a number video reviews too. For starters, however, Nintendo has sent over an initial box of goodies, and Holy Grandpa Toadstool is it insane. Check out what was in the kids’ Welcome Kit! 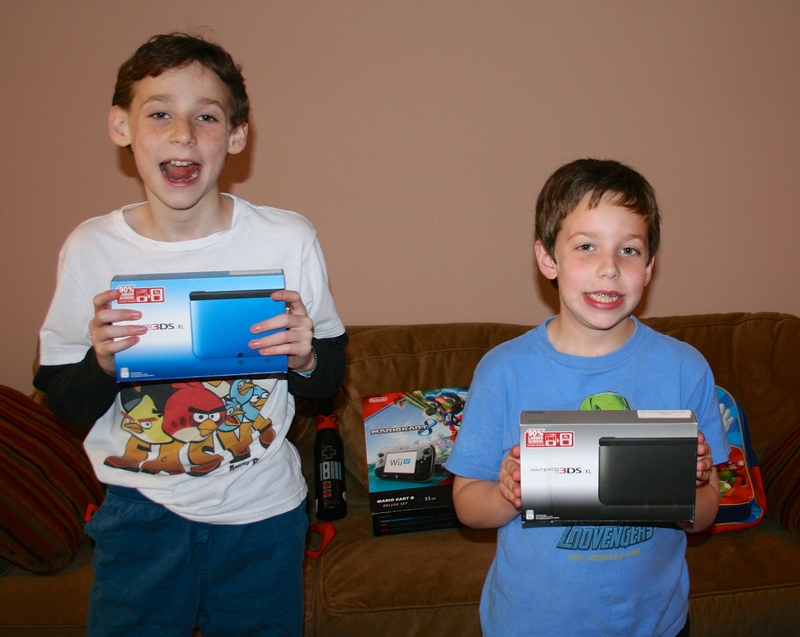 Each of the boys got a 3DS XL too. That’s perfect because they already have a 3DS and an XL (though they’re banged up a bit), so this combines the best of both worlds. The only trouble now is… who gets the blue one? 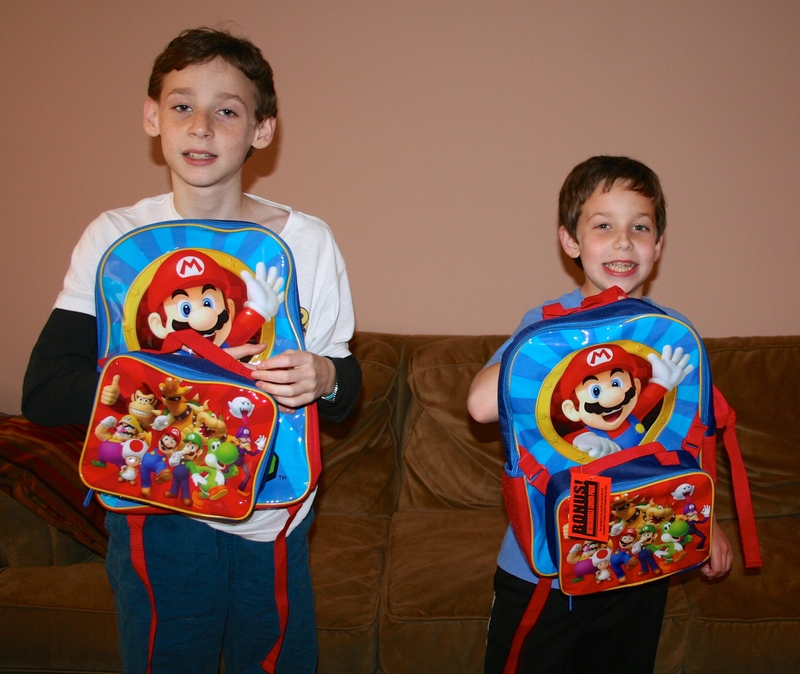 Then there were a pair of Mario backpacks with detachable lunch bags. 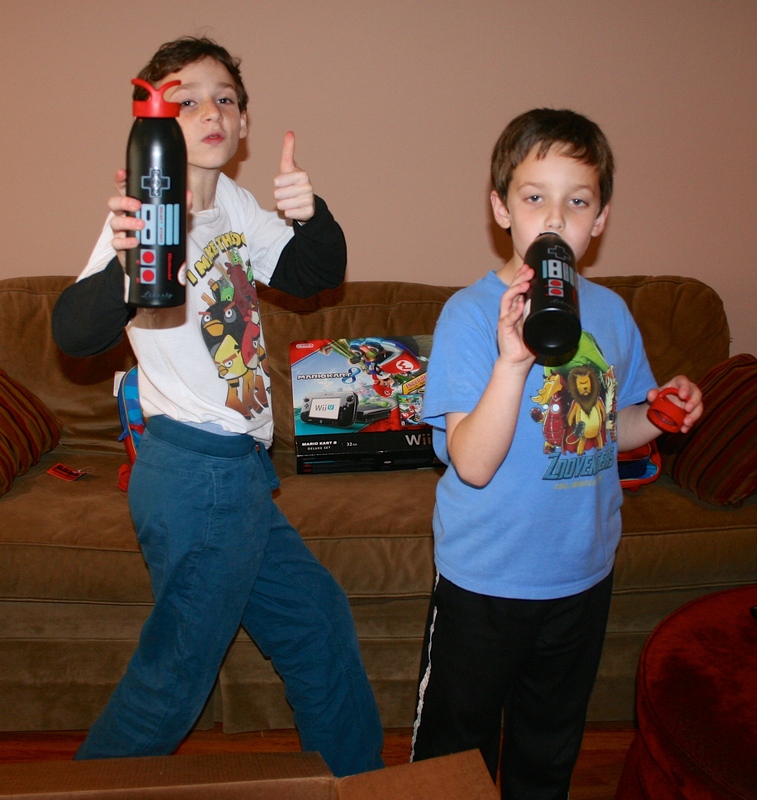 Gaming always makes you thirsty, so these super slick Nintendo water bottles will really come in handy. And yes, I have every intention of stealing these for myself. There were also a trio of games tossed in for good measure and a special personalized note from the King of Nintendo himself… Mario! Some seriously cool swag, wouldn’t you say? Thanks again to Nintendo for the incredibly warm welcome and I don’t know who’s more excited about this whole thing, me or the kids. Wonderful! You should get them blogging – the apples don’t fall far from the tree! My son is an avid gamer. He would love to be a kid reviewer. Please let us know how to pursue this! what fun!! 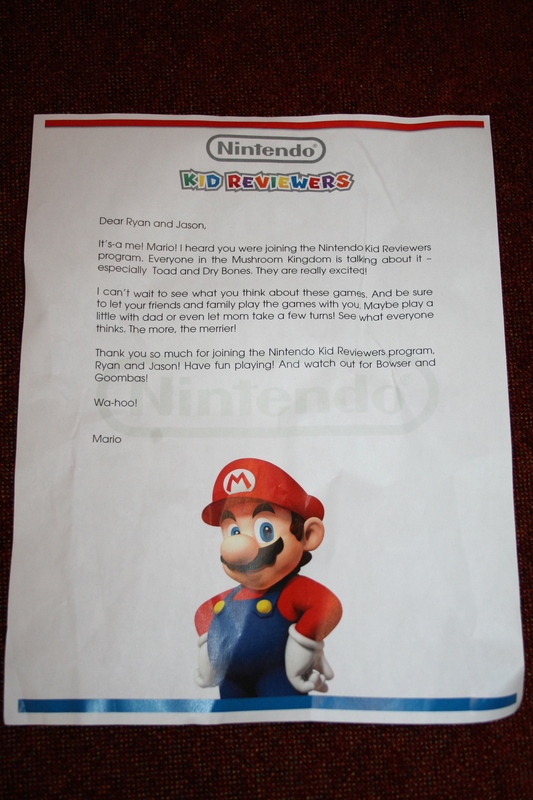 what young kid wouldn’t want to be a Nintendo reviewer! !My boys would be completely jealous! Wow! That is amazing! I am not telling my kids about this, or they will never speak to me again for not getting them into the program! How lucky! 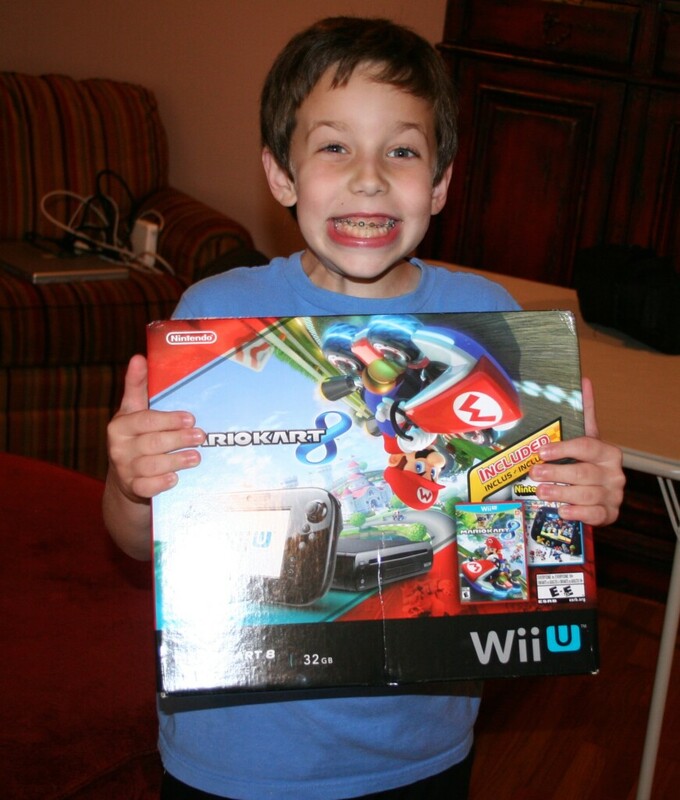 Very generous of Nintendo to give your sons some cool gear too! Looking forward to their reviews! This is so exciting! I can’t wait to see what they have to say about all things Nintendo!! So fun! My son loves Mario. What a fun job! Lucky! My family loves playing Nintendo, too! We really enjoy racing on MarioKart. It’s so much fun!